Over the past few days you may have noticed tree surgeons at work across the garrison area. 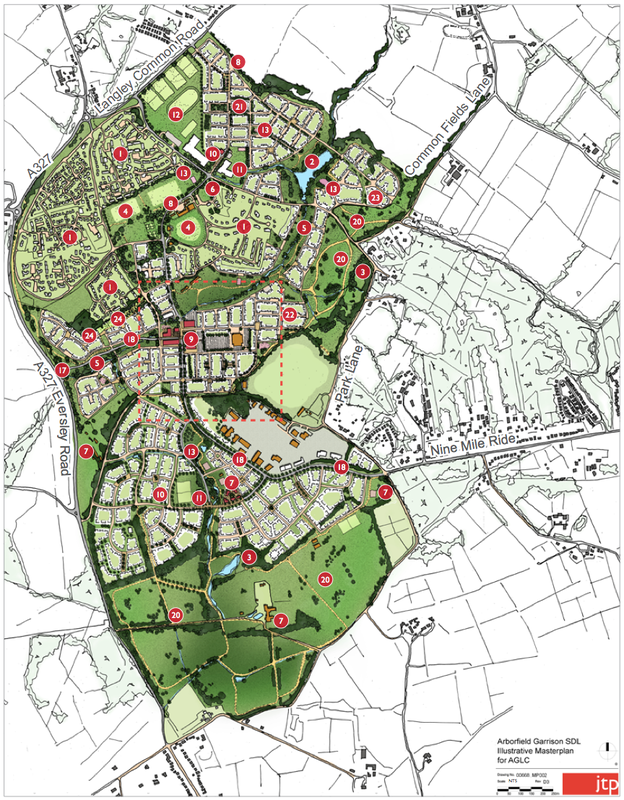 As part of the process of moving forward the Strategic Development Location, Wokingham Borough Council has placed tree protection orders on large numbers of trees across the garrison area to try to ensure there is not a repeat of the large scale tree felling that occurred before previous developments commenced, and the understanding was that the MoD and Arborfield Garrison Landowners Consortium would honour those tree protection orders, even though on crown land the orders cannot be easily enforced (a TPO can only be enforced on crown land with the permission of the organisation responsible, so the council needs to ask permission from the MoD to prosecute the MoD for violating a TPO – ludicrous…). 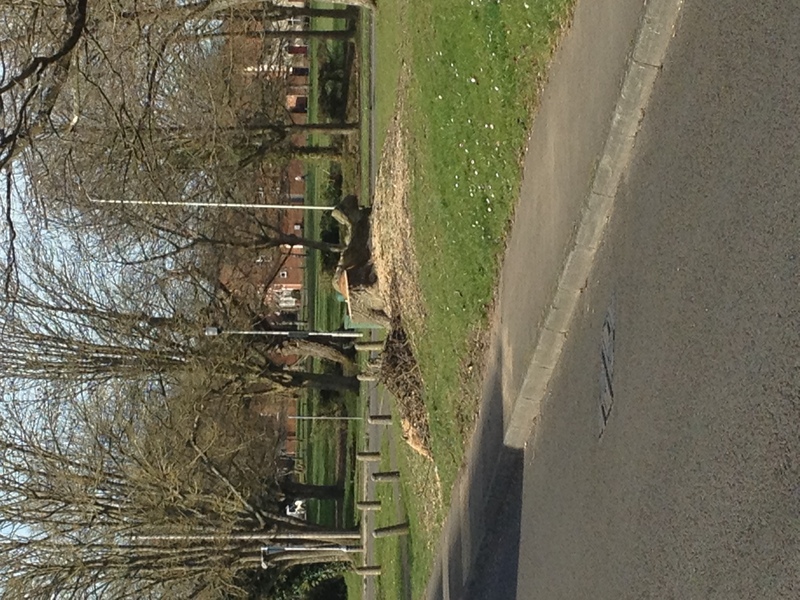 Unfortunately it seems that the presence of TPO’s on a number of trees did not get passed on to those responsible for looking after the garrison grounds, so this is what is left of a TPO’d tree near the corner of Tyler Drive and Sheerlands Road. The council knew nothing about this tree being felled until it was reported, whereas any work on a tree under a TPO needs to be agreed with the council. The justification for the work is the old “health and safety” chestnut – some of the branches were lost in the high winds this winter which meant that the tree was leaning, and therefore needed to be felled. Of course as any of you who know the tree in question would be able to point out, the tree has always leant slightly. Certainly given that a number of previous plans have suggested opening this part of Sheerlands Road up to through traffic and busses, reopening the old line of the A327 through the development, and removing this tree would make widening easier, there is a good deal of suspicion as to why the tree was removed. 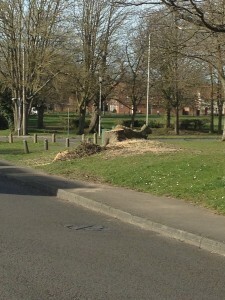 The council are currently in consultation with the tree surgeons who cut down the tree, and with the MoD and AGLC. They will also ask for the tree to be replaced. If you are aware of any other trees on the garrison that were felled over the past few days, can you pass on details to [email protected] or call on 0118 9746503 (manned 10am-3pm), copying details to ourselves. 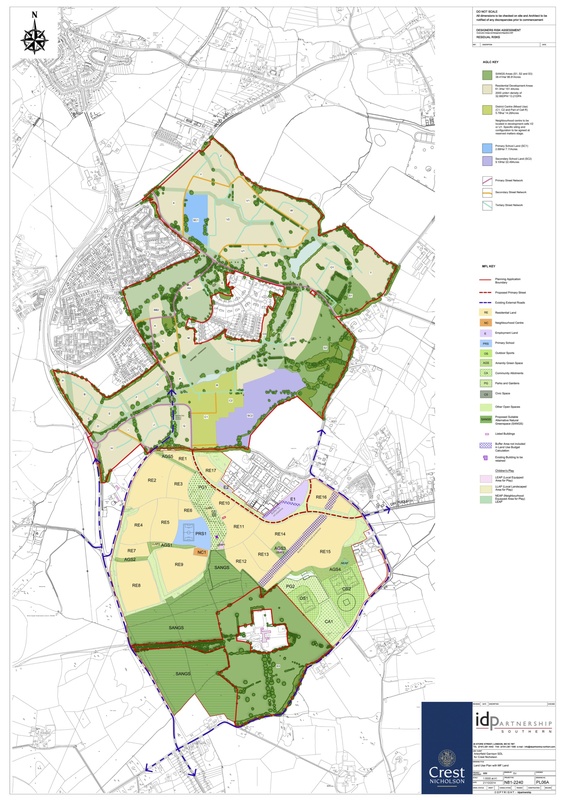 They have a complete plan of all the trees under TPO’s and will be able to take appropriate action to ensure any trees felled illegally are replaced. Moving on, there have been significant changes over the school situation. Last week at the Secondary School meeting with parents, Rob Stanton and Charlotte Hatham-Taylor committed to having a new school open for residents of Arborfield, Finchampstead and Barkham in September 2016. This prompted a good deal of discussion amongst parents who had been pushing for a free school, and the decision was taken to halt the campaign. The reason for this is that in order to make it through the free school selection process the group has to show significant demand, and with parents from 2016 onwards now having been offered a council sponsored academy, only the 2015 parents were actively supporting the bid, the majority of the other parents were happy to opt for the council sponsored academy. 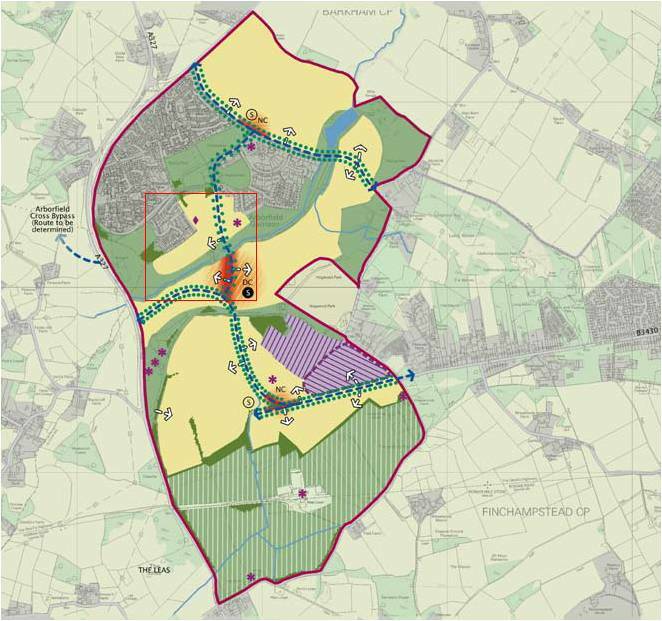 There remain question marks over the location, as the council is quite clear that the school will not open on a temporary site, however the most recent phasing plans showed the current school site in phase 1b between 2017 and 2019. We will continue to press the council for clarity on the school location, as if the school is not going to be in the currently planned location it is important to know where it will be, and what will be in place of the previous location. 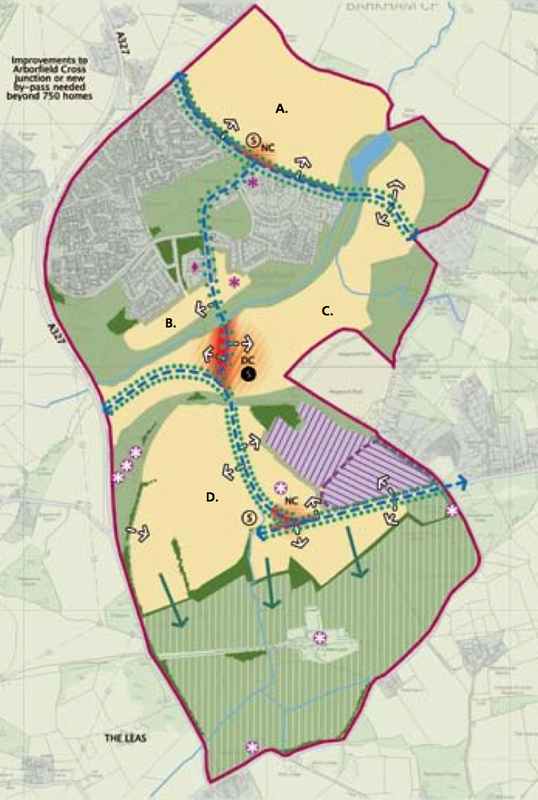 Finally, the council executive meeting this week includes the next stage of the process for the Arborfield Bypass/Relief Road. Our colleagues on the Arborfield Action Group are intending to attend the meeting and ask a number of questions as the executive decides whether to allocate additional funding for the refinement of the chose route B that was favoured by 71% of respondents to the recent consultation. 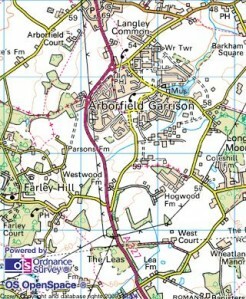 The meeting commences at 7:30pm on Thursday, 27th March, at the council offices in Wokingham.